Most people turn to an over-the-counter medication when they are experiencing an acute migraine attack or tension-type headache. This is sensible, as over-the-counter medications like Tylenol (acetaminophen) and nonsteroidal anti-inflammatories (NSAIDs), like ibuprofen and aspirin, are easily available, cheap, and do not require a doctor's visit. Even more, there are scientific studies supporting their benefit and safety in treating an episodic migraine or tension-type headache. That said, when perusing the aisle of your local pharmacy, you have likely noticed another over-the-counter pain reliever for migraines and tension headaches—Excedrin. It's a combination analgesic that contains Tylenol (acetaminophen), aspirin, and the "eye-opening" agent caffeine. With that, you may wonder whether Excedrin is as good (or even better) than Tylenol alone, aspirin alone, or ibuprofen alone for alleviating headaches and migraines. Let's explore this question in a bit more detail, as the answer is not as straightforward as you may expect. In other words, there are upsides and downsides to consider when choosing Excedrin as your "go-to" medication for tension headaches or migraines. In a review study in The Journal of Headache and Pain, the combination of caffeine with an analgesic like Tylenol (acetaminophen), aspirin (acetylsalicylic acid), and ibuprofen, was more effective in treating migraines and tension-type headaches, as compared to the analgesic medication alone. However, you may be surprised to learn that caffeine, itself, is not a pain reliever. Rather, it increases the effect of analgesics, like aspirin and Tylenol, and it does this by enhancing their absorption within the gut. Research shows caffeine's augmenting effect is seen at doses of 130mg or more in tension-type headaches and 100mg or more in migraine. Since over-the-counter caffeine-containing medications contain 64 to 65mg of caffeine (including Excedrin), please note that you would have to take two Excedrin tablets to derive the caffeine benefit (which is a typical dose). As an added bonus, it's worth mentioning that a caffeine-containing headache pain reliever may have other perks. Caffeine is a stimulant, meaning it improves mood, alertness, information processing, awareness, attention, and reaction time. So if you feel particularly fatigued or sluggish with your headache, Excedrin may not only soothe your pain but help you feel more energized. Additionally, caffeine improves gastric motility (the physical movement of food through your digestive tract). This may be especially helpful for migraineurs, as gastric motility can be reduced during a migraine attack, leading to nausea and/or vomiting. Medical care is generally not black and white. In other words, it's a complex art, as not every person's body and medical history are the same. To ensure a specific medication is right for you, it's important to first talk with your doctor. That said, these side effects are generally mild and short-lived. Still, if you normally cannot tolerate a strong cup of coffee or are about to go into a meeting and are worried about getting a bit shaky, Excedrin may not the best choice for you at that time. While caffeine can ease migraines and tension-type headaches, studies have shown that caffeine is linked to the development of migraines and the transformation from episodic to chronic migraines (15 or more migraines per month)—a paradox that leaves many of us scratching our heads. Furthermore, caffeine withdrawal can trigger headaches as well as lead to a decrease in cognitive function, nausea, and vomiting (all in the short-term). Although, in the long-term, (and not to complicate the picture), caffeine cessation is likely beneficial for people with headaches. 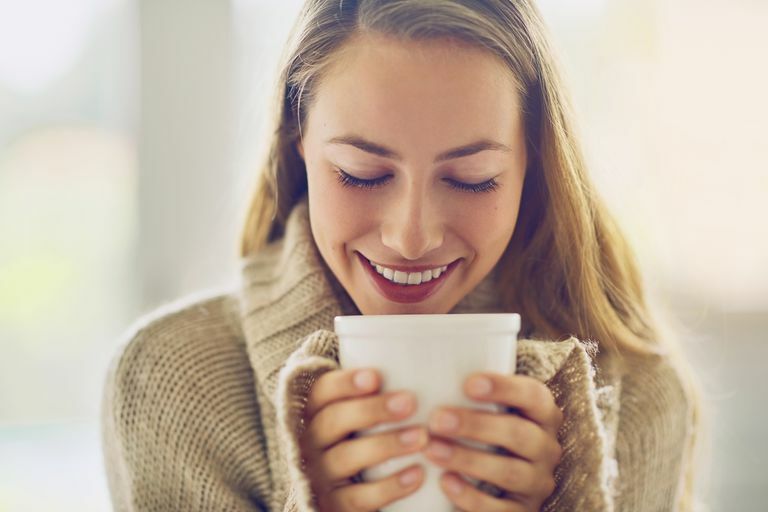 In the end, if you are sensitive to caffeine, then incorporating Excedrin into your routine may not be the best"go-to" headache option for you. It's best to come up with a plan with your primary care doctor or headache specialist concerning which over-the-counter medication you may take if you develop a headache. This is because even though Tylenol, Excedrin, and NSAIDs are available without a prescription, they are not safe for everyone. While not an exhaustive review, here are some examples of the concerns associated with these over-the-counter medications. NSAIDs can cause stomach irritation and bleeding so should not be used by people on blood-thinning medications or by people with a history of stomach ulcers. Moreover, people with certain medical problems (e.g., asthma, or kidney, heart, or liver problems) should either not take NSAIDs or should be very closely monitored by their doctor while taking one. Finally, aspirin or aspirin-containing products (like Excedrin), should never be given to children, as they can increase a child's risk for developing a serious illness called Reye's syndrome. Many over-the-counter medications contain Tylenol (acetaminophen), like cold medicines and of course, Excedrin. With that, a person can overdose on Tylenol unintentionally, and this can lead to liver failure. Over-the-counter medications may interact with your prescription medications. This is why it's essential to inform your doctor of all the medications you are taking, including any vitamins or supplements. While research shows caffeine-containing analgesics like Excedrin are more effective in easing migraines and tension-type headaches than taking Tylenol, aspirin, or ibuprofen alone, that may not be the case for you as an individual. In the end, trust your gut and do what works for you (with the "OK" by your doctor). Lastly, regardless of the over-the-counter medication you use, be careful to limit it to less than two to three days per week. This way you can avoid a medication overuse headache, which is when a person develops rebound headaches—a double whammy, and a problem that is particularly tricky to treat. Lee MJ, Choi HA, Choi H, Chung CS. Caffeine discontinuation improves acute migraine treatment: a prospective clinic-based study. J Headache Pain. 2016;17(1):71. doi: 10.1186/s10194-016-0662-5. Lipton RB, Diener H-C, Robbins MS, Garas SY, Patel K. Caffeine in the management of patients with headache. J Headache Pain. 2017;18(1):107. doi: 10.1186/s10194-017-0806-2. Prior MJ, Codispoti JR, Fu M. A randomized, placebo-controlled trial of acetaminophen for treatment of migraine headache. Headache. 2010;50(5):819–833. doi: 10.1111/j.1526-4610.2010.01638.x. Taylor FR. (2017). Tension-type headache in adults: Acute treatment. Swanson JW, ed. UpToDate. Waltham, MA: UpToDate Inc.